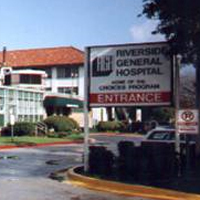 Riverside General Hospital: H1N1 (Swine Flu). CDC is working very closely with officials in states where human cases of swine influenza A (H1N1) have been identified, as well as with health officials in Mexico, Canada and the World Health Organization. This includes deploying staff domestically and internationally to provide guidance and technical support. CDC has activated its Emergency Operations Center to coordinate this investigation. Fever (greater than 100 F or 37.8 C), sore throat, cough, stuffy nose, chills, headache and body aches, and fatigue. If you have these symptoms, CALL your physician for instructions. Because swine influenza is contagious, they may have instructions on where you should go for testing. If you do go to the doctor's office or hospital, you will be asked to wear a mask. This keeps you from spreading influenza to others. Clean places you have frequent contact with, such as doorknobs and light switches, as well as your desk or work area at work. CDC web page on Swine Flu. This site is kept updated with recent facts and status on Swin Flu. There is a link on the page to the facts and figures about the current investigation.